Josh Brown|Miami Valley Today Newton third baseman Mitchell Montgomery tags out Miami East’s Dave Osting at third base Thursday at Newton High School. Josh Brown|Miami Valley Today Newton’s Erin Norman pitches Thursday against Miami East. Josh Brown|Miami Valley Today Newton’s Colin Tackett pitches Thursday against Miami East. Josh Brown|Miami Valley Today Miami East’s Kyleigh Kirby makes contact Thursday against Newton. Josh Brown|Miami Valley Today Miami East first baseman Garrett Lemaster tries to tag out Newton’s Nate Zielinski on a pickoff play Thursday. 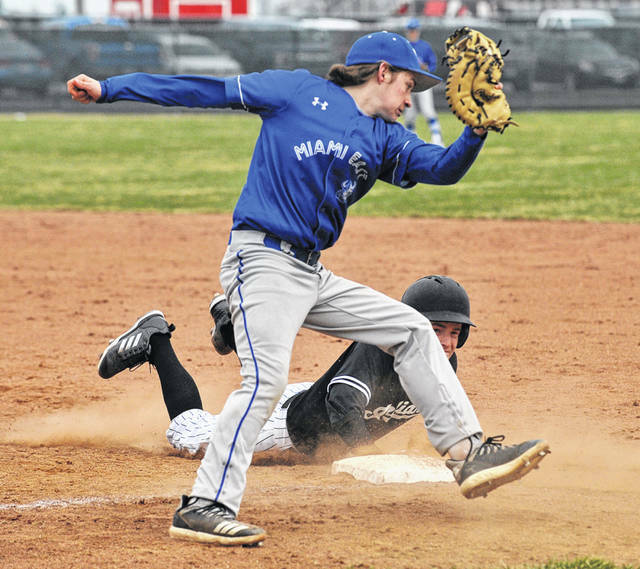 Josh Brown|Miami Valley Today Newton’s Baily Chaney scored a run Thursday against Miami East. Josh Brown|Miami Valley Today Newton’s Cameron Calldwell bunts Thursday against Miami East. Josh Brown|Miami Valley Today Miami East shortstop Kalli Teeters tags out Newton’s Mallory Dunlevy at third base Thursday. Josh Brown|Miami Valley Today Miami East’s Ian Gengler pitches Thursday against Newton. Josh Brown|Miami Valley Today Newton’s Ashlyn Deeter bunts Thursday against Miami East. Josh Brown|Miami Valley Today Newton’s Caden Sweitzer makes a catch in right field Thursday against Miami East. 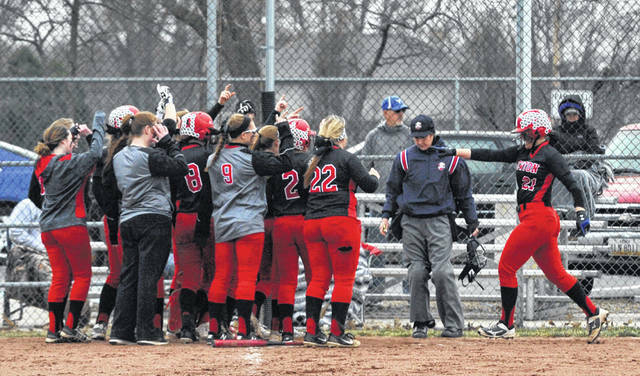 Josh Brown|Miami Valley Today Newton’s Brooke Deeter (right) heads to home plate and is congratulated by her teammates after hitting a home run Thursday against Miami East. 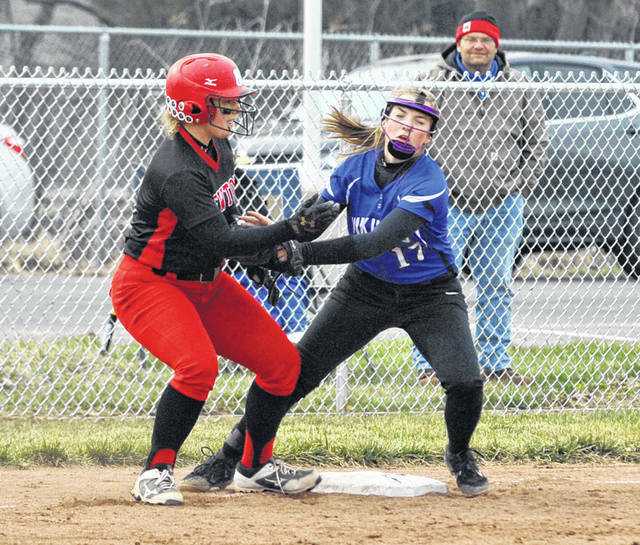 PLEASANT HILL — The Newton softball team pulled away with some longball. The Indian baseball team came out on top in a back-and-forth smallball battle. 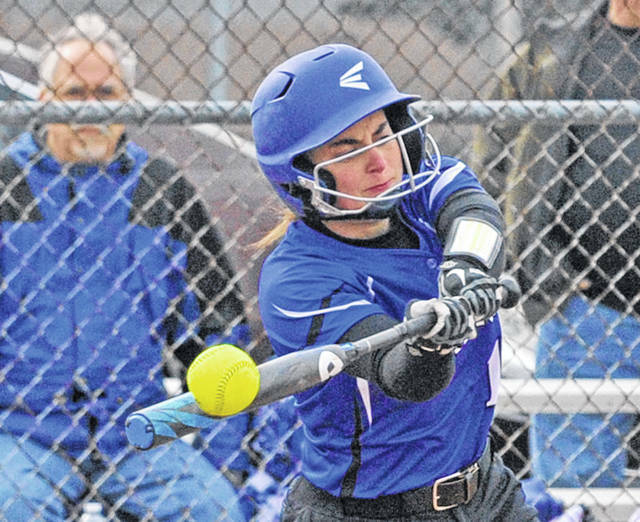 In the end, Newton came away with a sweep of Cross County Conference rival Miami East at home Thursday with both teams maintaining possession of the league’s top spot as softball closed out a 13-1 win over the Vikings and baseball held on in the seventh for a nail-biting 8-7 win. 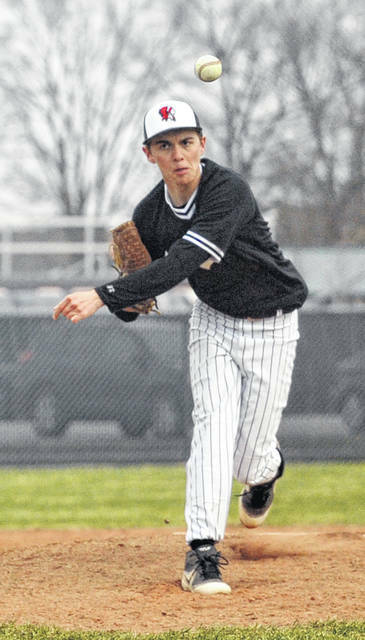 Freshman Colin Tackett did the job on the mound for six innings and senior Nate Zielinski closed it out in the seventh with the potential go-ahead runs on base as the Newton baseball team survived a challenge from visiting Miami East for an 8-7 win. Tackett gave up six runs — only one earned, as Miami East cashed in on five Newton errors — on seven hits and one walk while striking out four. “Colin isn’t really a strike-em-out kind of guy,” Newton coach Jordan Kopp said of his starting pitcher. “He’s a lefty and he’s crafty and he throws strikes. In two starts now, he’s only walked one guy, and he gave up only one earned run. The game was back and forth the whole way, with Newton (7-0, 4-0 CCC) taking a 2-1 lead after the first inning. Miami East (3-4, 3-1 CCC) answered with three in the top of the fourth, but Newton scored three in the bottom of the inning to keep pace. The Vikings then plated a pair in the top of the fifth to take a 6-5 lead, but the Indians answered with three in the bottom of the inning to go up by two at 8-6. Ross Ferrell came on in relief of Tackett to begin the sixth, walking two and giving up one hit and only recording one out, then Nielinski entered to finish things off, giving up only one hit. With the lead down to one run and runners on second and third, third baseman Mitchell Montgomery snared a hard-hit line drive that likely would have put the Vikings ahead to end the game. Offensively, Ryan Mollette was 3 for 4 with a triple, two RBIs and two runs scored and Zielinski was 2 for 4 with two RBIs to lead the Indians. Alex Koon was 3 for 4 with an RBI and Montgomery and Cameron Calldwell each drove in a run, with Calldwell also hitting a double. “Overall, we were extremely excited to come away with a win in this one,” Kopp said. “Nate and Ryan led the charge offensively. We want our seniors to lead us, and they did today. Defensively, we’ve still got some work to do. Ian Gengler, who started for the Vikings, pitched all six innings, giving up eight runs — only three earned, as the Vikings committed four errors themselves — on 11 hits and a walk while striking out seven. Austin Francis was 3 for 3 with two runs scored, Gengler, Hunter Gross, Gage Butz and Garrett Lemaster each had an RBI and Alex Hayes doubled. After traveling to Wright State to face Versailles Friday, Miami East hosts West Carrollton Saturday, while Newton takes on Little Miami Saturday in a doubleheader. 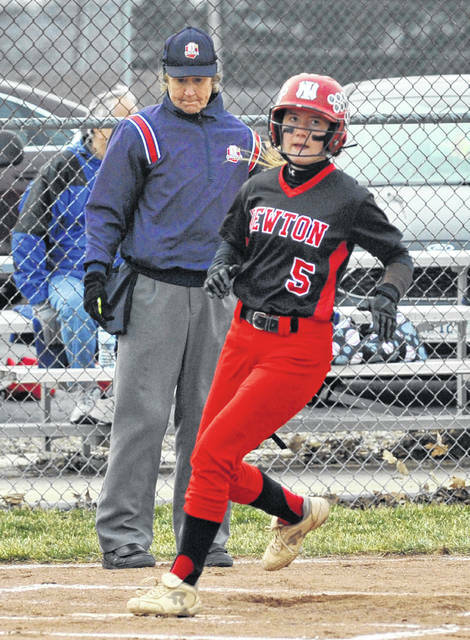 The Newton softball team (6-1, 4-0 CCC) didn’t allow nearly as much drama Thursday, stringing together an eight-run third inning to help put away visiting Miami East (2-4, 1-3 CCC) 13-1 in five innings. Brooke Deeter was 2 for 2 with a home run and two RBIs, Baily Chaney doubled and drove in two runs, Mallory Dunlevy had three RBIs, Marissa Deeter was 2 for 3 with an RBI and Addison Peters was 2 for 2 as the Indians outhit the Vikings 10-2 in the game. 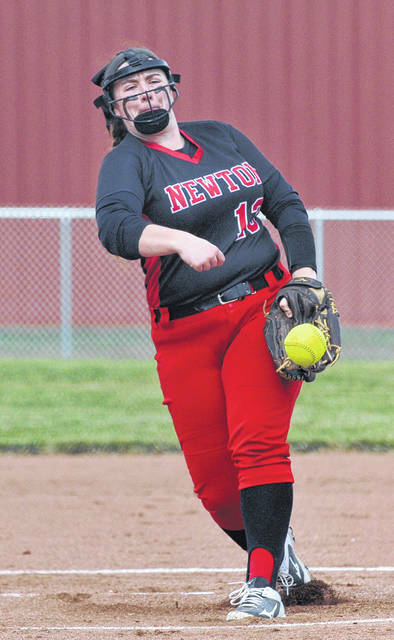 Erin Norman got the win for Newton, allowing only two hits and walking one while striking out six. Kyleigh Kirby and Cassidy Walker each had a hit for the Vikings, with Walker scoring the only run. Kirby took the loss on the mound, allowing 13 runs, 10 earned, on 10 hits and four walks while striking out two. After hosting Versailles Friday, Miami East travels to Riverside for a doubleheader Saturday. Newton, meanwhile, hosts Greenon in a doubleheader Saturday. https://www.tdn-net.com/wp-content/uploads/sites/21/2019/04/web1_040419jb_new_montgomery_me_osting.jpgJosh Brown|Miami Valley Today Newton third baseman Mitchell Montgomery tags out Miami East’s Dave Osting at third base Thursday at Newton High School. https://www.tdn-net.com/wp-content/uploads/sites/21/2019/04/web1_040419jb_new_erinnorman.jpgJosh Brown|Miami Valley Today Newton’s Erin Norman pitches Thursday against Miami East. 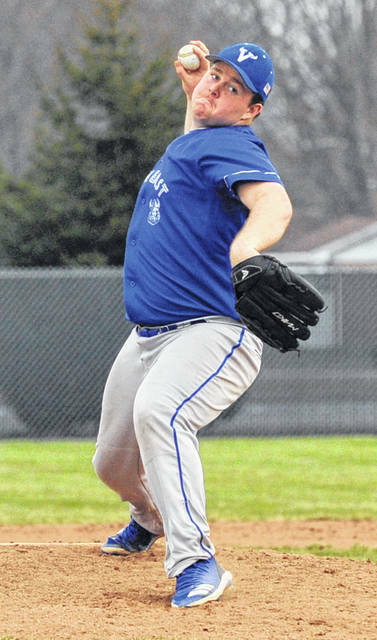 https://www.tdn-net.com/wp-content/uploads/sites/21/2019/04/web1_040419jb_new_colintackett.jpgJosh Brown|Miami Valley Today Newton’s Colin Tackett pitches Thursday against Miami East. https://www.tdn-net.com/wp-content/uploads/sites/21/2019/04/web1_040419jb_me_kyleighkirby.jpgJosh Brown|Miami Valley Today Miami East’s Kyleigh Kirby makes contact Thursday against Newton. 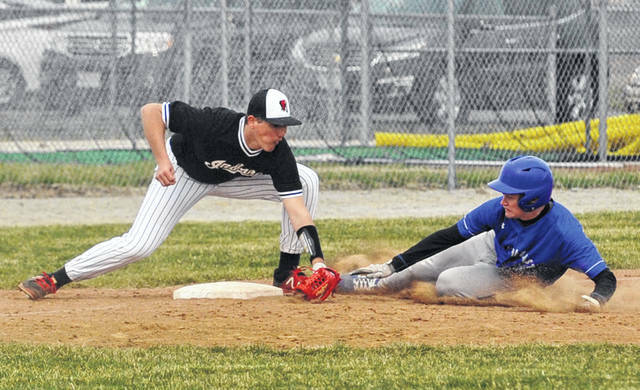 https://www.tdn-net.com/wp-content/uploads/sites/21/2019/04/web1_040419jb_me_lemaster_new_zielinski.jpgJosh Brown|Miami Valley Today Miami East first baseman Garrett Lemaster tries to tag out Newton’s Nate Zielinski on a pickoff play Thursday. 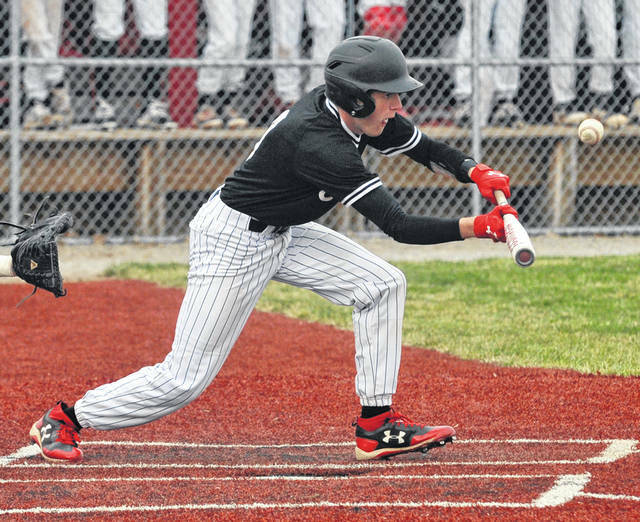 https://www.tdn-net.com/wp-content/uploads/sites/21/2019/04/web1_040419jb_new_bailychaney.jpgJosh Brown|Miami Valley Today Newton’s Baily Chaney scored a run Thursday against Miami East. https://www.tdn-net.com/wp-content/uploads/sites/21/2019/04/web1_040419jb_new_caldwell.jpgJosh Brown|Miami Valley Today Newton’s Cameron Calldwell bunts Thursday against Miami East. 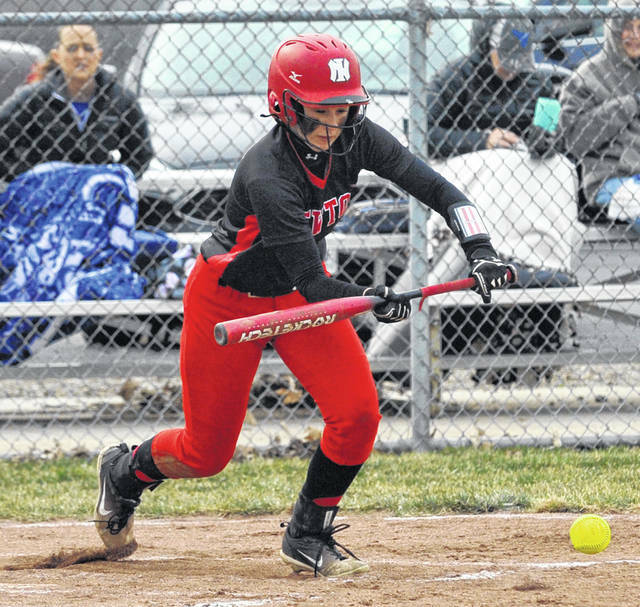 https://www.tdn-net.com/wp-content/uploads/sites/21/2019/04/web1_040419jb_me_teeters_new_dunlevy.jpgJosh Brown|Miami Valley Today Miami East shortstop Kalli Teeters tags out Newton’s Mallory Dunlevy at third base Thursday. https://www.tdn-net.com/wp-content/uploads/sites/21/2019/04/web1_040419jb_me_iangengler.jpgJosh Brown|Miami Valley Today Miami East’s Ian Gengler pitches Thursday against Newton. https://www.tdn-net.com/wp-content/uploads/sites/21/2019/04/web1_040419jb_new_ashlyndeeter.jpgJosh Brown|Miami Valley Today Newton’s Ashlyn Deeter bunts Thursday against Miami East. 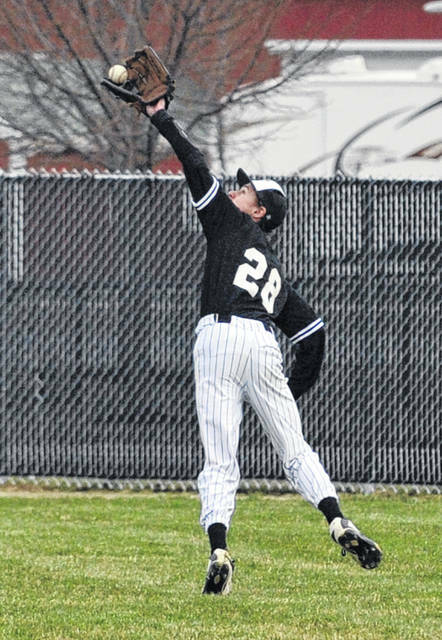 https://www.tdn-net.com/wp-content/uploads/sites/21/2019/04/web1_040419jb_new_sweitzer.jpgJosh Brown|Miami Valley Today Newton’s Caden Sweitzer makes a catch in right field Thursday against Miami East. https://www.tdn-net.com/wp-content/uploads/sites/21/2019/04/web1_040419jb_new_brookedeeter.jpgJosh Brown|Miami Valley Today Newton’s Brooke Deeter (right) heads to home plate and is congratulated by her teammates after hitting a home run Thursday against Miami East.